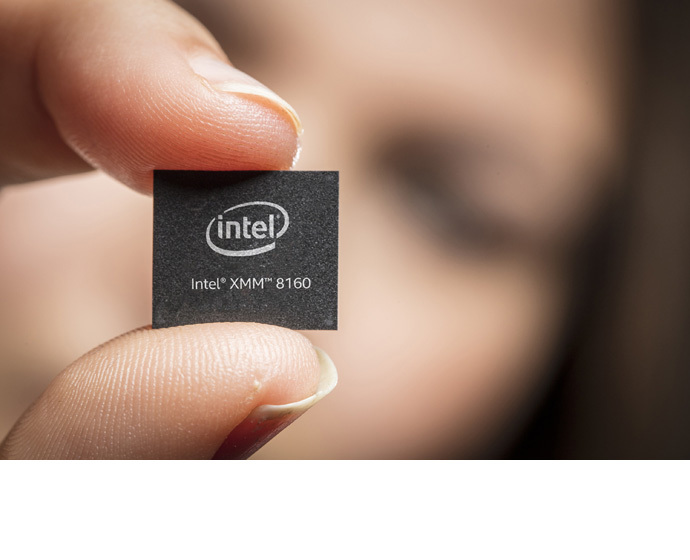 What’s New: Intel today announced the Intel® XMM™ 8160 5G modem, a multimode modem optimized to provide 5G connectivity to devices like phones, PCs and broadband access gateways. Intel has accelerated the timing of this modem by pulling in the launch by more than a half-year. The XMM 8160 5G will support peak speeds up to 6 gigabits per second, making it three to six times faster than the latest LTE modems available today. It will be available in the second half of 2019 and will deliver the features and experiences to accelerate widespread 5G adoption. What It Handles: The Intel XMM 8160 is a multimode modem, meaning it will support the new standard for 5G New Radio (NR), including standalone (SA) and non-standalone (NSA) modes, as well as 4G, 3G and 2G legacy radios in a single chipset. 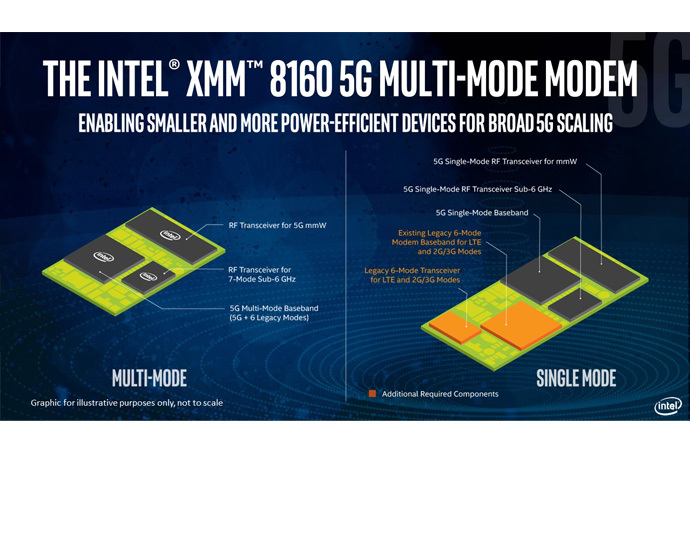 Why It Matters: With single-chip multimode baseband capability, the Intel XMM 8160 5G modem will enable device manufacturers to design smaller and more power-efficient devices. This can be achieved without the added complexity, power management and form factor adjustments of two separate modems for 5G and legacy connectivity, as will be introduced in early competing 5G modems. 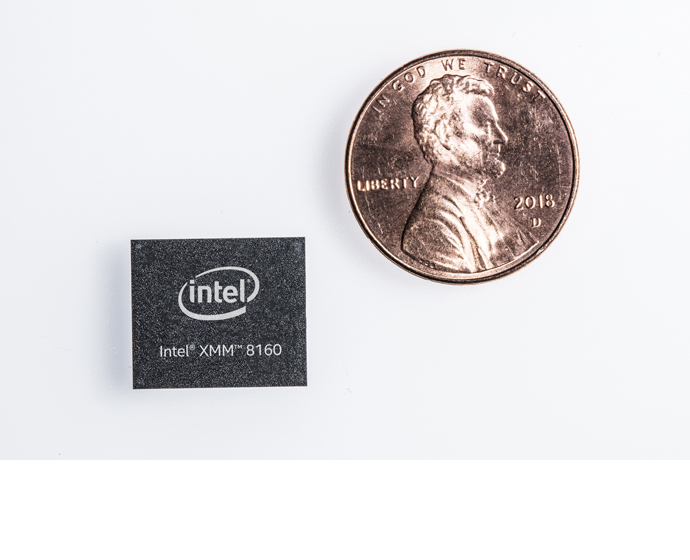 By advancing directly to a multimode solution, Intel will offer very clear improvements in power, size and scalability. Intel’s integrated multimode solution supports simultaneous connectivity (EN-DC) for LTE and 5G – critical as 5G mobile network devices must be backward compatible to 4G if 5G is not available at any moment or at any location. The modem offers advanced technology needed to support new millimeter wave (mmWave) spectrum as well as sub 6 GHz 5G NR support (including FDD and TDD bands from 600 MHz to 6 GHz) and download speeds up to 6 Gbps. The industry move to mmWave and mid-band spectrum addresses the enormous need for more bandwidth for users, devices and connected machines. Finally, the modem is designed to scale. With worldwide carrier support, broad platform certification and broad OEM support, the Intel XMM 8160 modem delivers 5G capabilities that operators and device makers can rely on for their global deployments.